Chris Hemsworth may have been spared a showdown with our robot overlords once Robopocalypse was indefinitely delayed, but don't worry: You may still get the chance to see him squinting angrily at technology. 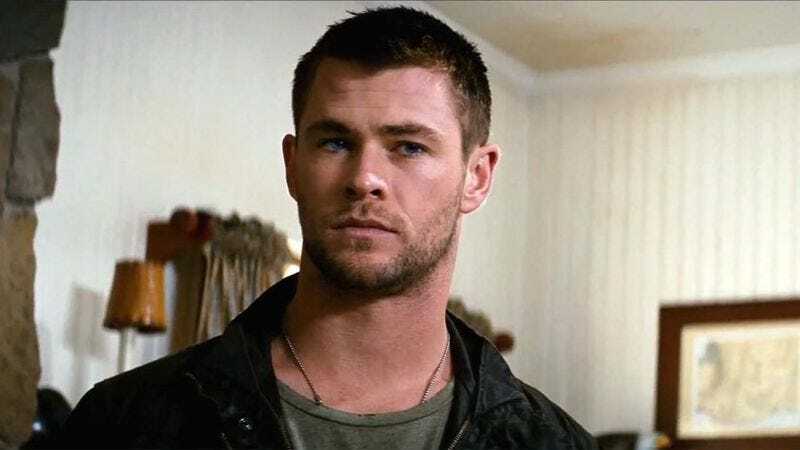 Variety reports that Hemsworth is attached to a new, as-yet-untitled film for Michael Mann—Mann's first since 2009’s Public Enemies, and one that will reportedly keep the director well within the “world of cops and criminals” that is his preferred milieu, albeit one where those cops and criminals mostly interact via computer. Details are being kept under wraps, but the story “takes place in a world of cyber threats and attacks,” a fast-paced thrill ride of people typing and then looking disbelievingly at what other people have typed. “A/S/L, wanna cyber?” someone will type at Chris Hemsworth. “We’re under attack. Get me the President,” he’ll growl.